Excellent article…see The Campus Conservative for more. The United States is a country clearly established upon the foundations of religion. While we acknowledge the importance of a separation between the Church and State we are largely a religious people, believing ours to be “one nation under God.” Despite this historical predilection for faith, our contemporary national discussions lack any consideration of religion or the divine. From the beginning, our nation’s Founding Fathers understood the importance of religion to the development of the country. Samuel Adams held the practice of religion in such esteem that he believed religion and morality to be “the only solid foundation of public liberty and happiness.” While religious men (for the most part), our Founding Fathers also recognized the undeniable merit of the separation of religious and political spheres. The First Amendment speaks plainly to this, stating that “Congress shall make no law respecting an establishment of religion.” The textual meaning is explicit- a clear guard against any who might attempt to fashion a state religion in the United States. It was not, however, only the Founding Fathers who held this to be true. As Ronald Reagan understood the First Amendment to function, “When our Founding Fathers passed the first amendment, they sought to protect churches from government interference. They never intended to construct a wall of hostility between government and the concept of religious belief itself.” But this original meaning has been upended and the First Amendment is now considered to be an indictment of religion, rather than a safeguard. John Adams was of the opinion that “Nothing is more dreaded than the national government meddling with religion.” He would undoubtedly be appalled by the increasing willingness of our Federal Government to interfere with the presence of religion in the public square. Just last week Russell Vought was interrogated by Senator Bernie Sanders over the former’s religious beliefs during Vought’s confirmation hearing for a position in the Trump White House. Vought had professed his belief in the “centrality of Jesus Christ in salvation,” prompting a petulant scolding from Sanders. The senator from Vermont demonstrated either a lack of understanding or a lack of respect for the Constitution, willfully ignoring Article VI which prohibits any religious test as “qualification to any Office,” claiming that Vought was “not someone who this country is supposed to be about.” At the root of Vought’s statement was a belief central to the teachings of the Christian faith- Jesus says, “I am The Way, The Truth, and The Life. No one comes to the Father except through me” [John 14:6]. To believe otherwise would be to stand at odds with the teachings of the Church. Yet Sanders continued to press the issue and sought to cast Vought as some sort of religious and political extremist, wondering whether Vought’s expressed belief ought to be considered Islamophobic. The ideological leap which Sanders took to arrive at this conclusion ought to concern the practitioners of any faith. What religious person doesn’t believe their religion to be the one, true faith? In the Qur’an it is written of non-believers, “Fear the fire, whose fuel is men and stones, prepared for disbelievers” [Al- Baqarah 2:24]. Would we condemn a Muslim who believes this as being somehow discriminatory through their faith? Would we hold a Jew to the same standard? The First Amendment was drafted to protect religion, not serve as a blanket with which to extinguish it. 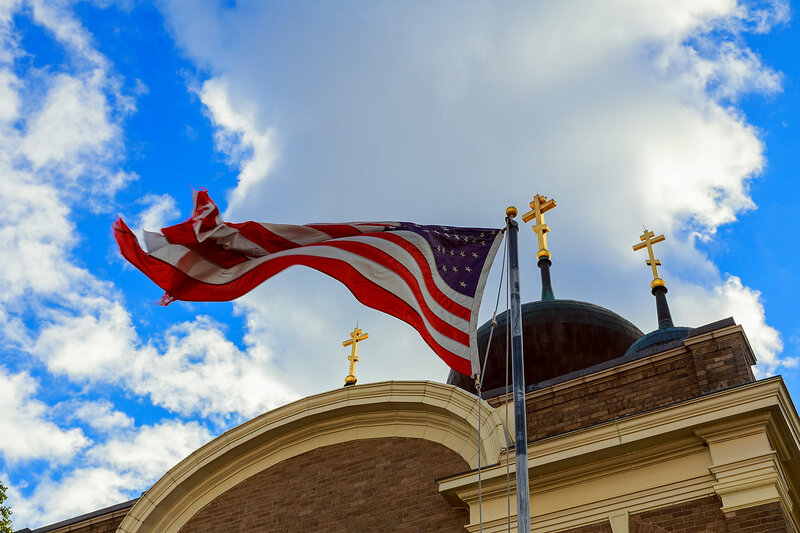 Despite the unconstitutional religious test for office to which Vought was submitted, all too few came to his defense or to the defense of the freedom of religion. Perhaps it is because our nation has begun to view this freedom as inconsequential. A startling trend was revealed by a 2015 Gallup Poll on religion- since the year 2008, the percentage of Americans who identify as Christian has begun to decline steadily. In 2008, just over 80% of the country identified with the Christian faith. A mere seven years later, this number has dropped to 75%. Perhaps even more alarming is that these individuals are not turning to another religious tradition. Rather, they are forsaking the practice of religion all together. In 2008, 14.6% of Americans did not associate with a religion. By 2015, this number had almost reached 20%. It’s not that Americans are becoming increasingly diverse in their religious practice- it’s that they are forgoing worship in general. If we are to believe as Joseph Story believed, that “piety, religion, and morality are intimately connected with the well-being of the state, and indispensable to the administration of civil justice,” we must be wary of what might occur if these ideals are allowed to erode. We witness today the emergence of what some call “secular morality,” the idea that morality is somehow independent of God. Antonin Scalia is a Senior Fellow and Founder of The Campus Conservative. He is a fourth year student at Rhodes College, and currently an intern at the Ethics and Public Policy Center in Washington, D.C.
A Sovereign God, College Students, God's View vs. World View, Guest Blogs, Political Opinion, What Is Truth?